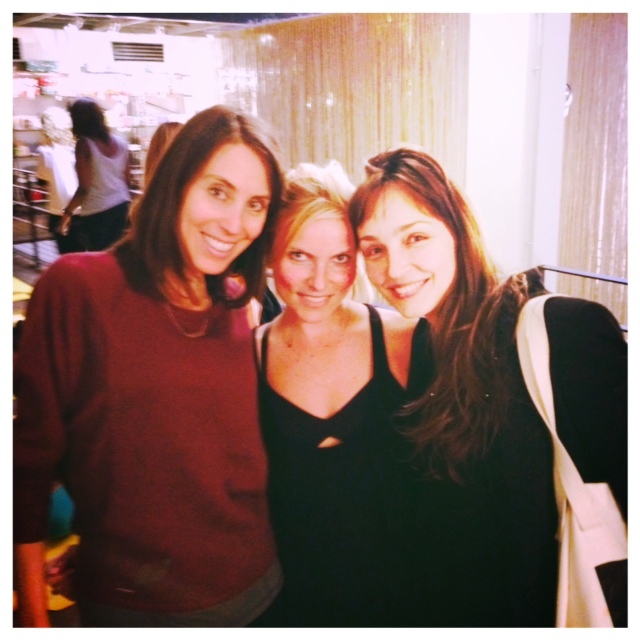 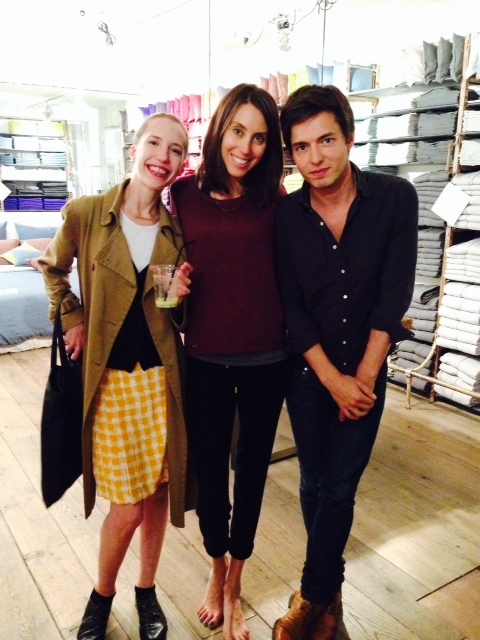 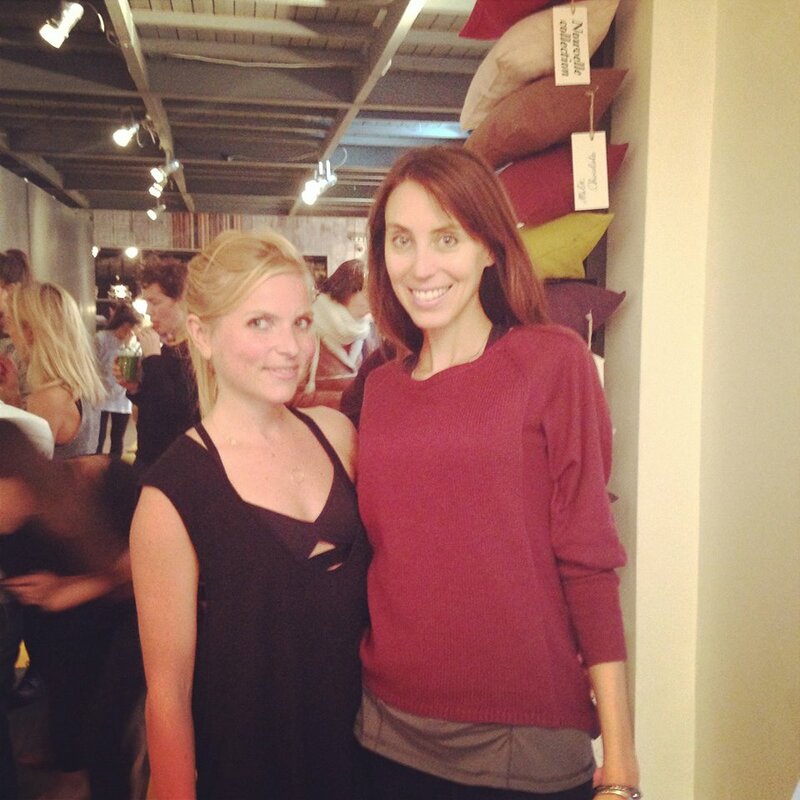 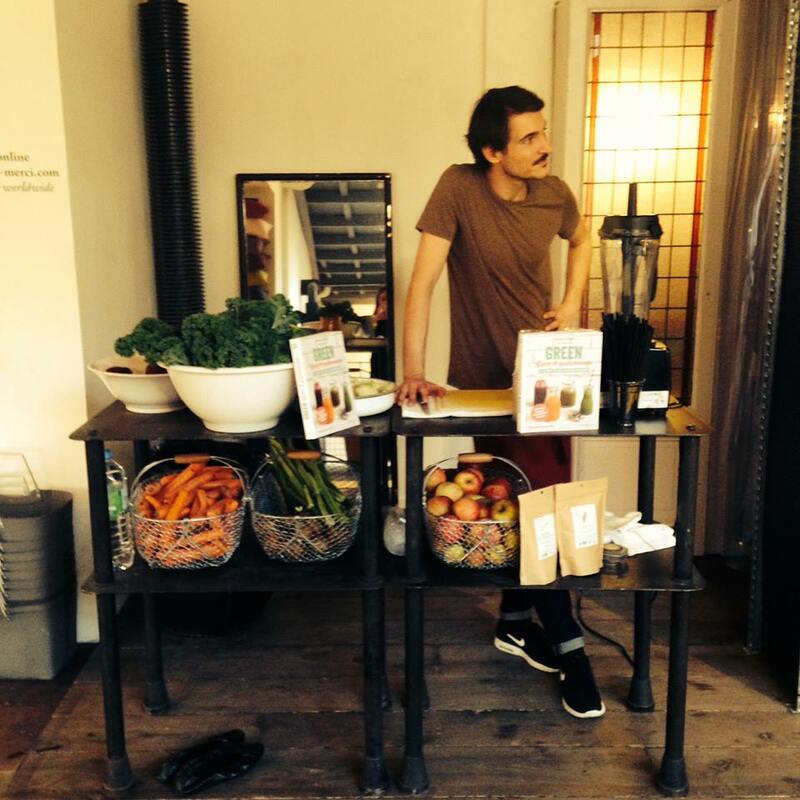 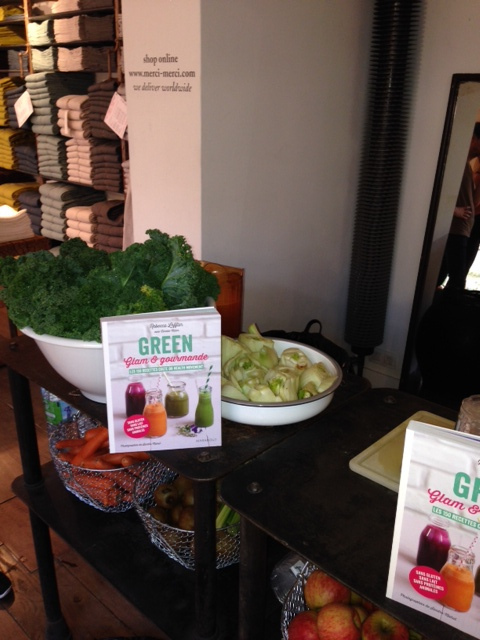 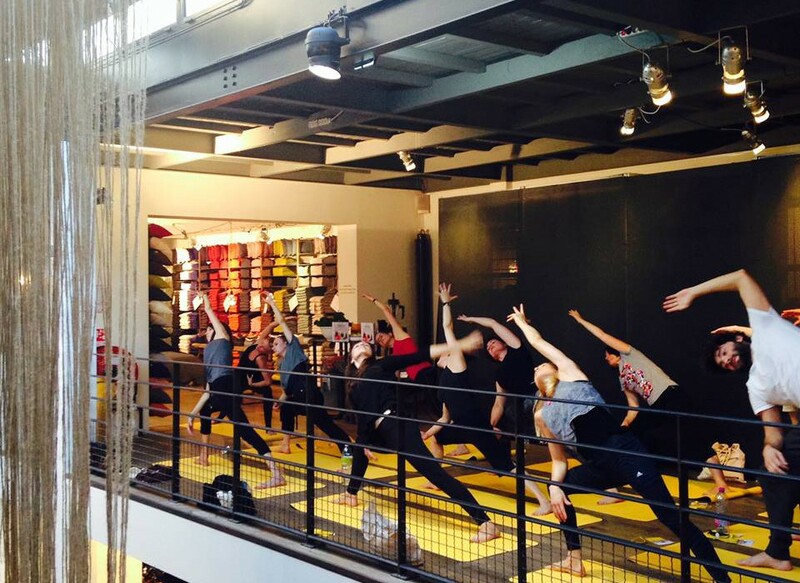 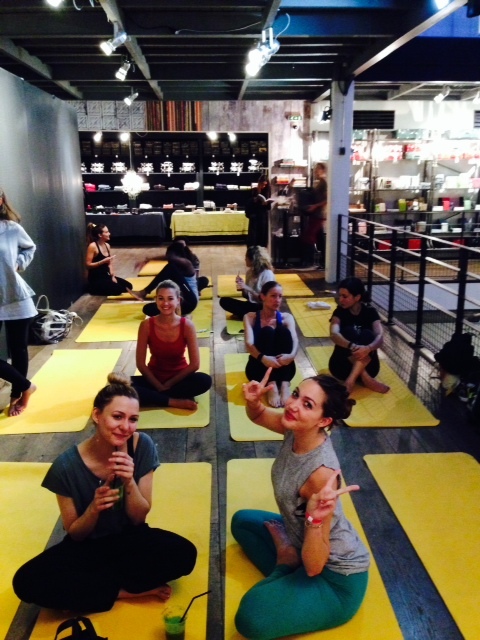 A YOGAlution at MERCI in Paris! 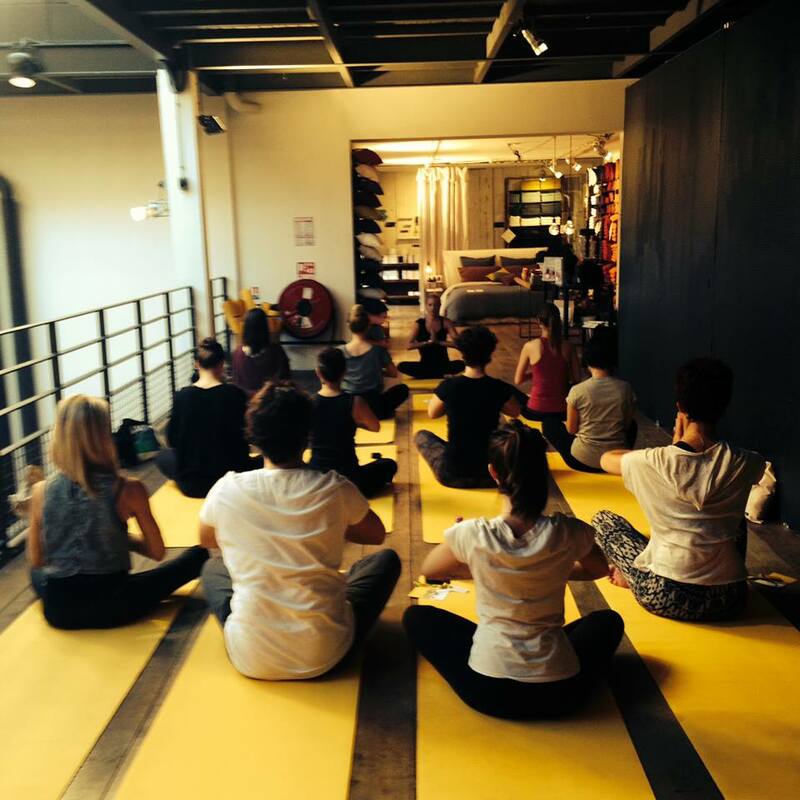 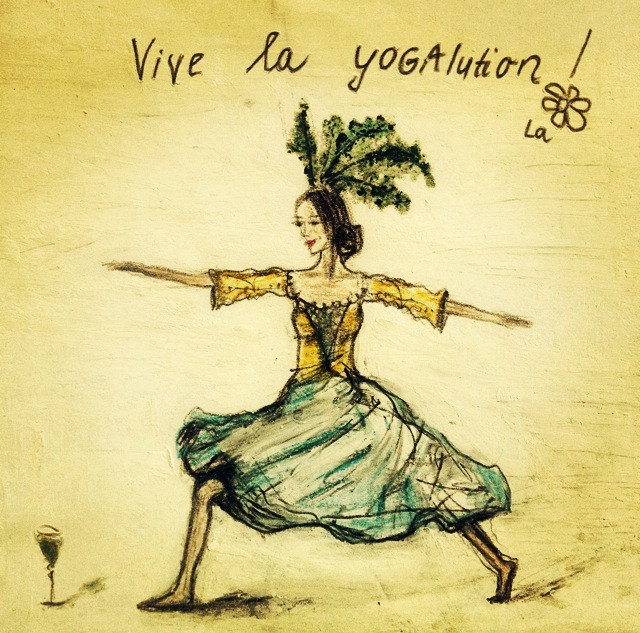 On Tuesday night, there was a YOGAlution in Paris! 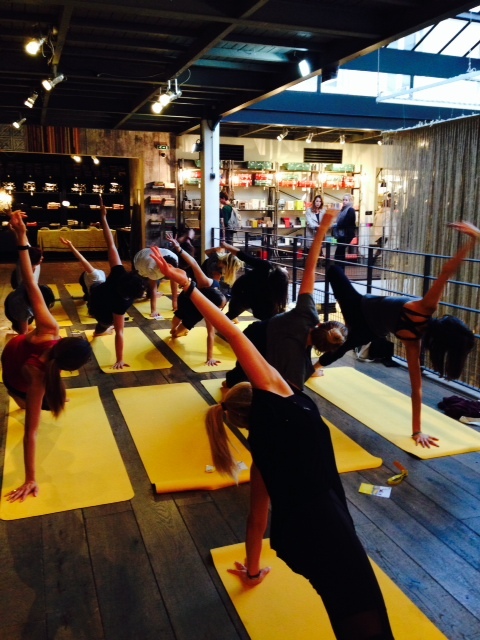 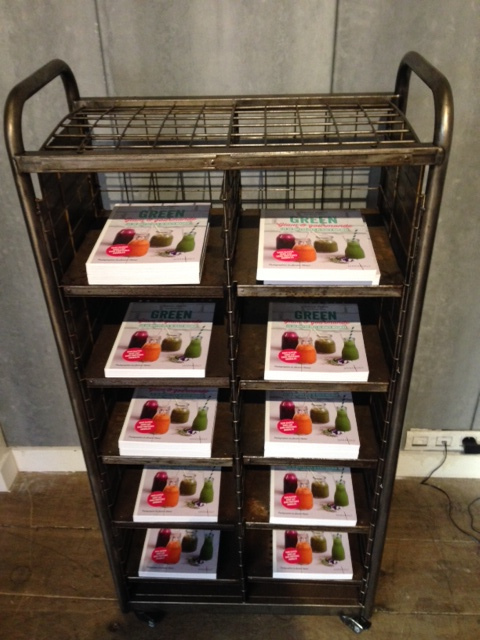 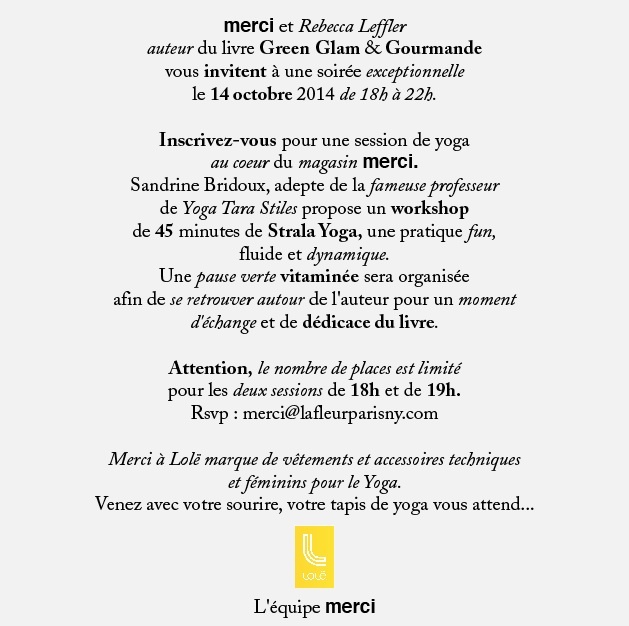 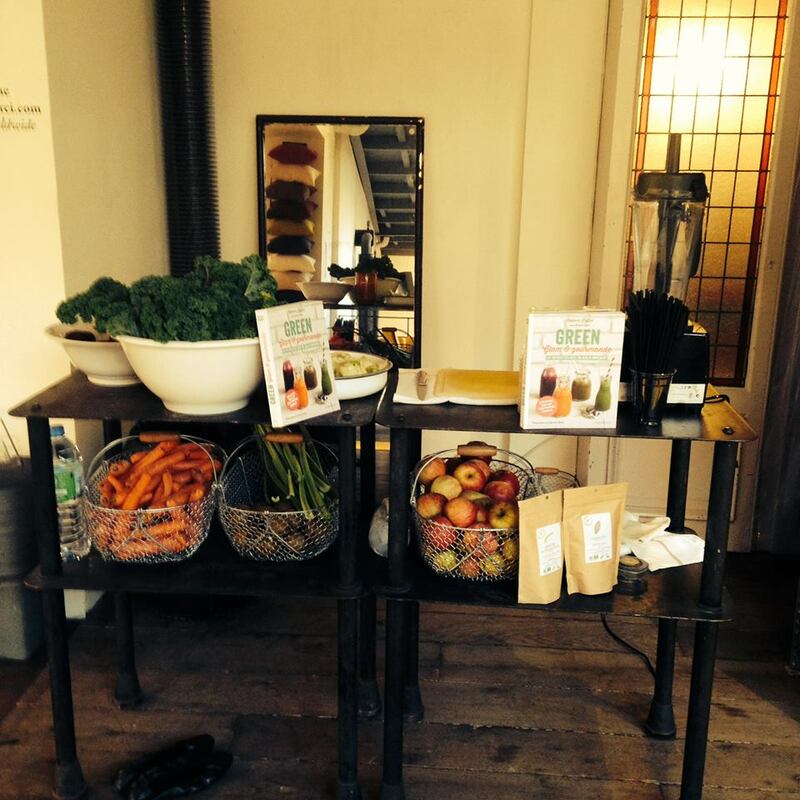 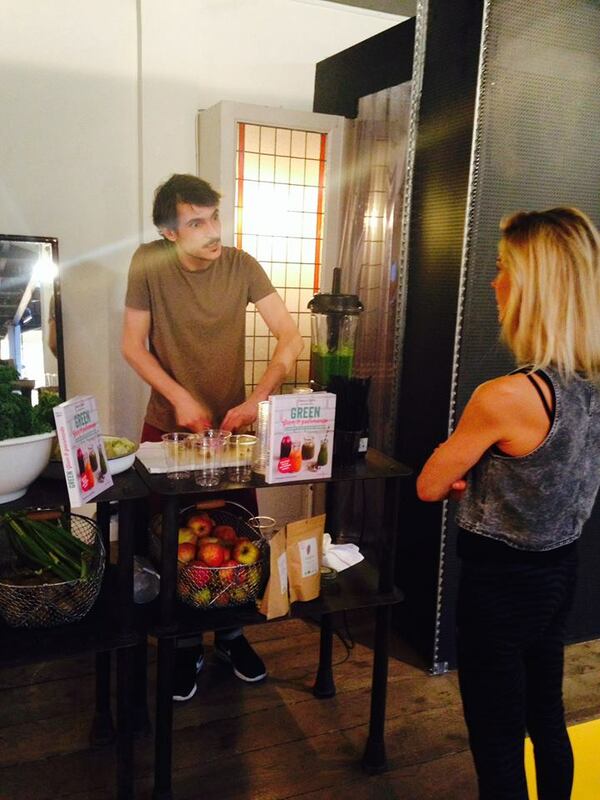 We transformed the first floor of très chic boutique MERCI into a yoga class, green café and runway of positive vibes. 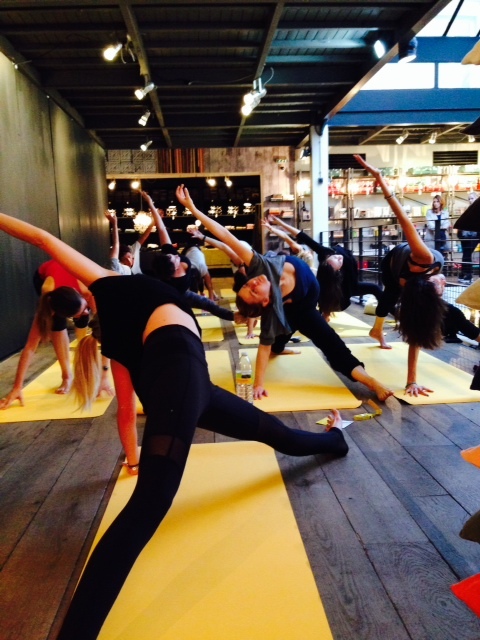 Strike a yoga pose! 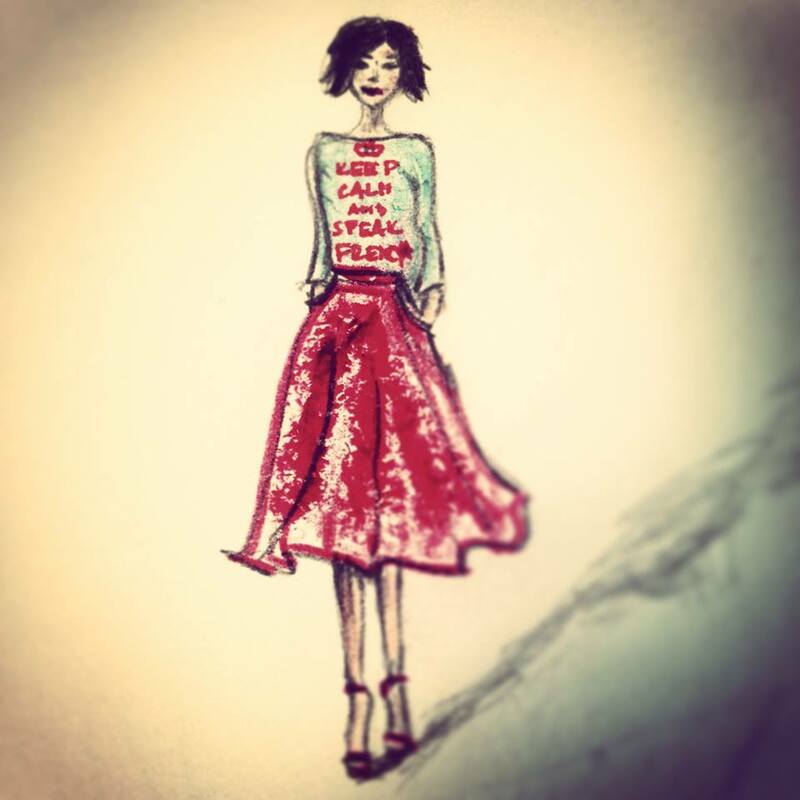 Oh, we did! 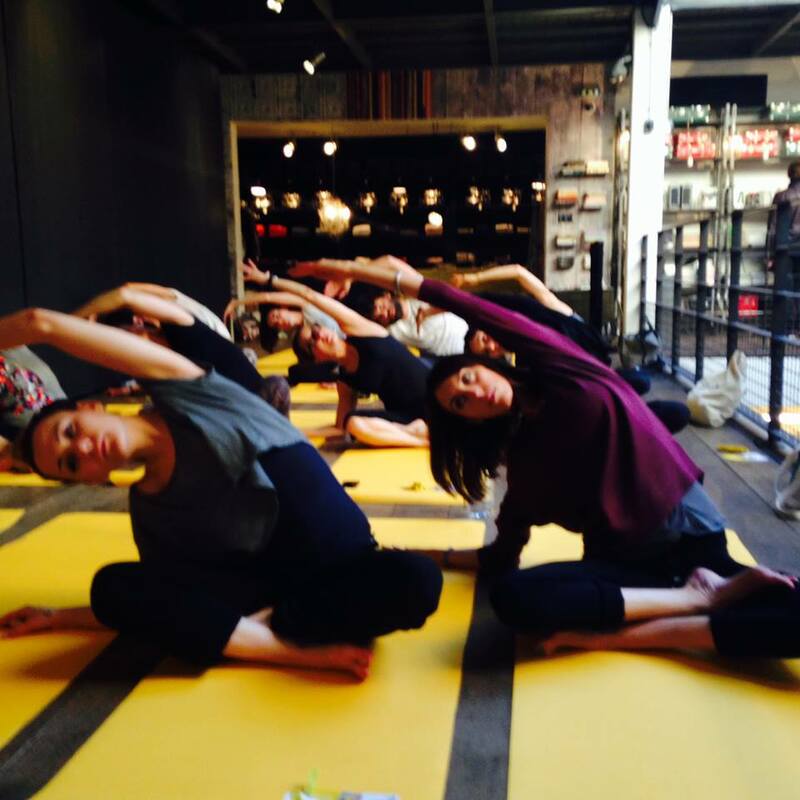 Thanks to the amazing Sandrine Bridoux (aka @Frenchyogagirl) who led us in an energizing flow as we gazed upon the guests at AESOP skincare’s launch party downstairs. 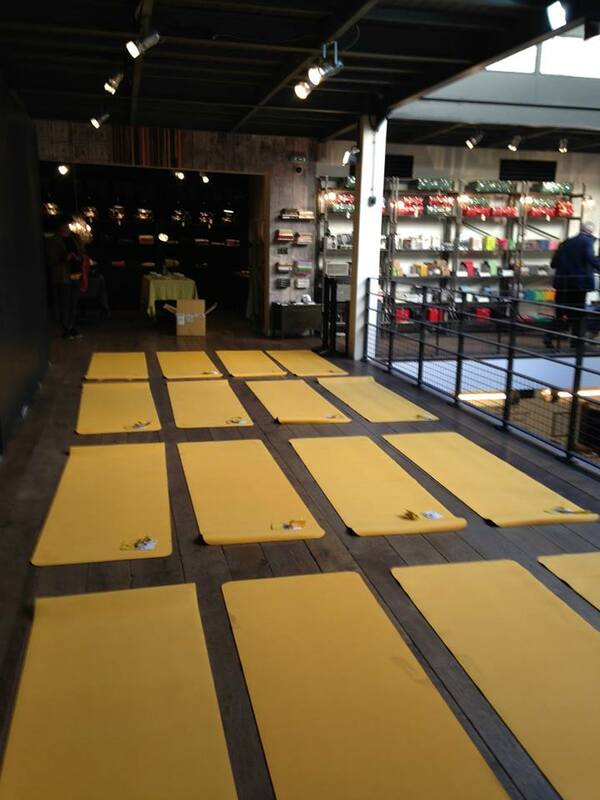 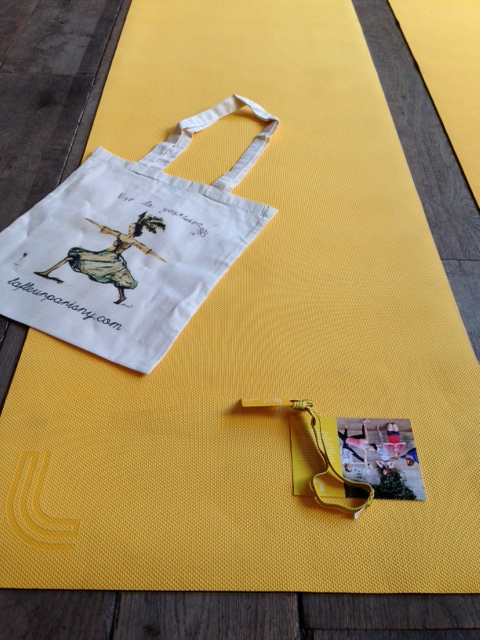 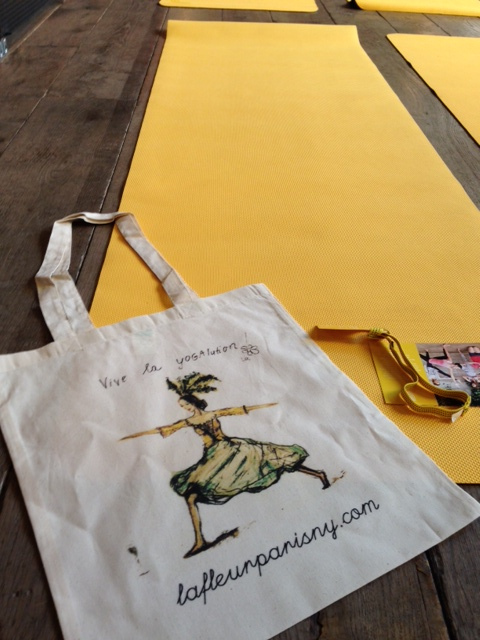 We rolled out the … yellow carpets with LOLE yoga mats, headbands and apparel. 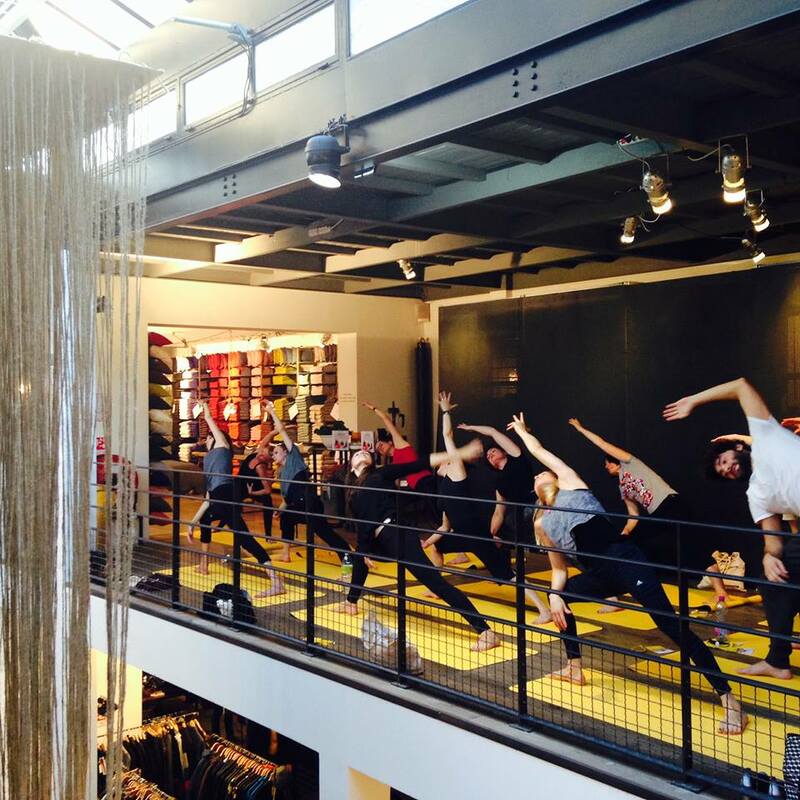 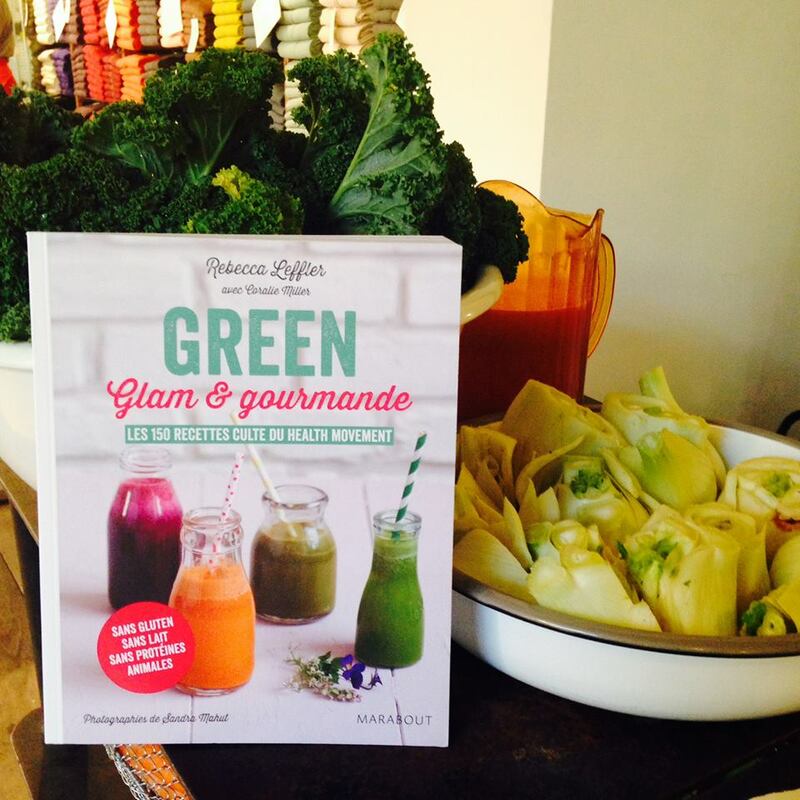 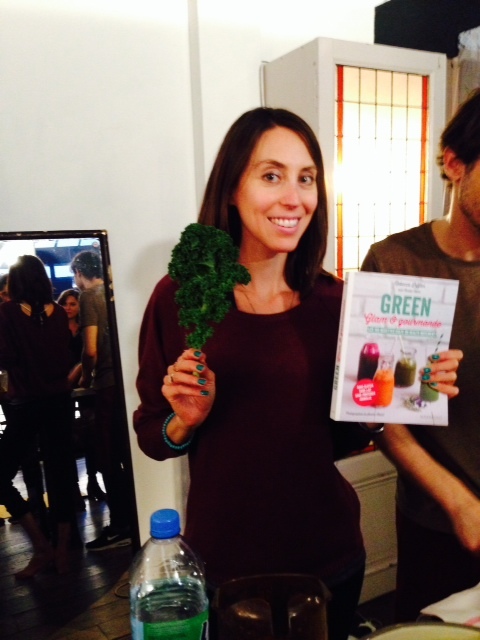 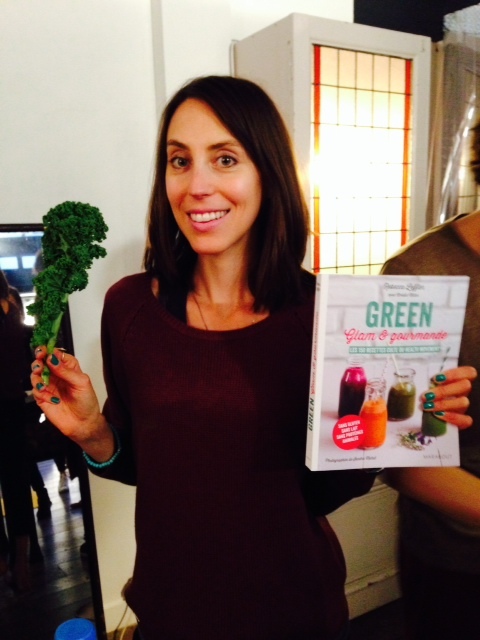 Parisian met NYC cool as Sandrine brought the NYC-born Strala Yoga style to la France and the room was filled with smiling guests nourishing their bodies from the inside out…and the outside in! 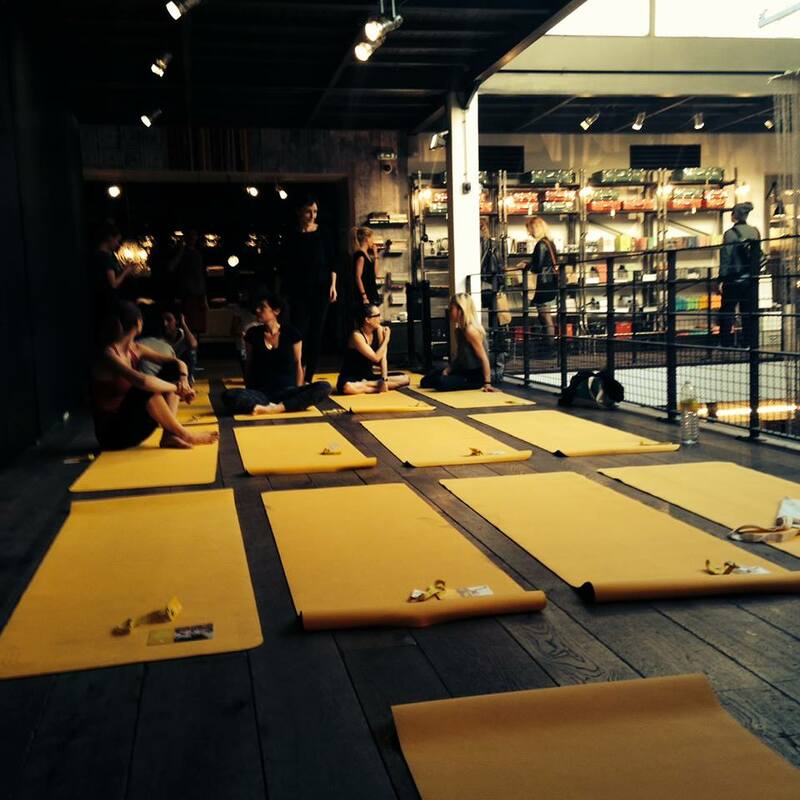 The entire store smelled of Aesop’s new Marrakech intense fragrance, a perfect aroma to transport us during this voyage of mind and body. 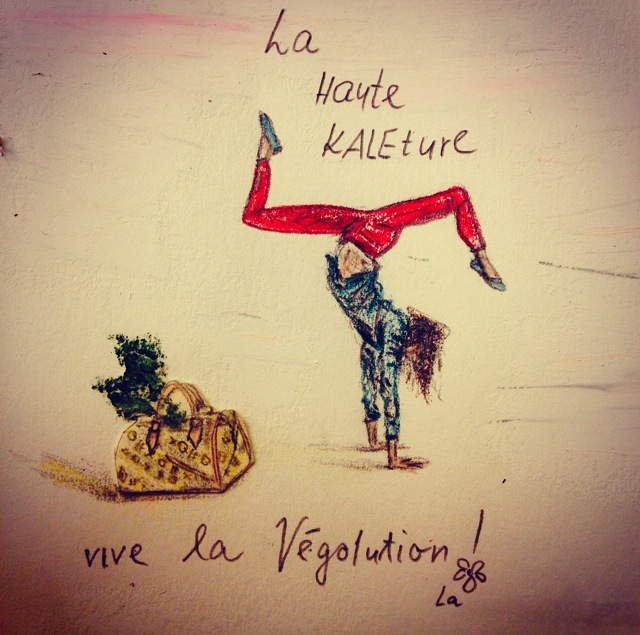 Voilà some photos from this fabulous evening that was the epitome of La Haute KALEture! 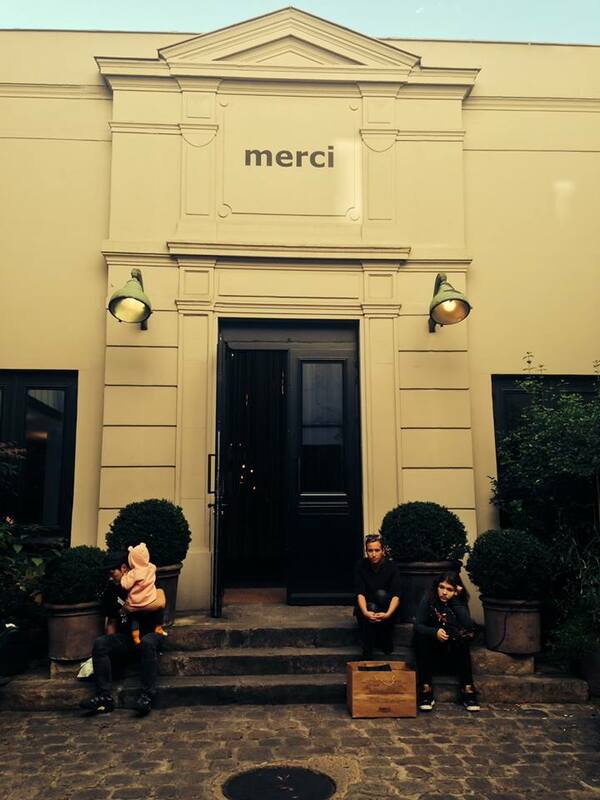 MERCI to everyone who came out for this fabulous event, which by the way included visitors from across the globe. 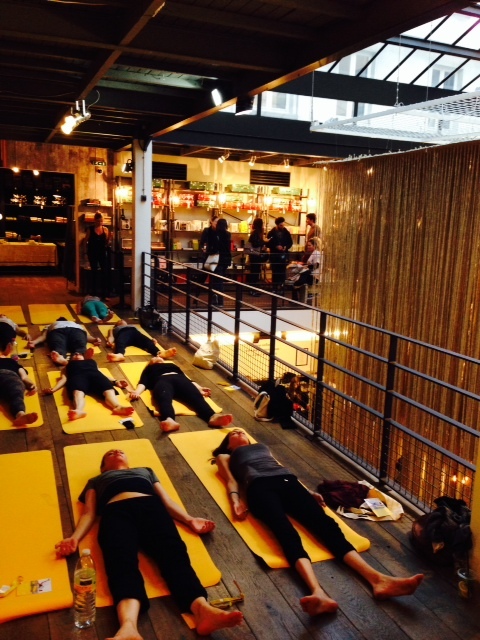 “The Yogalution will not be televised” – OK maybe not, but here are some photos.